Media captionGrenfell Tower inquiry: What questions will be answered? The public inquiry into the Grenfell Tower fire began a fact-finding stage this week. The inquiry heard how the man who lived in the flat where the fire began has been left "terrified" about unjustified reprisals. Lawyer Rajiv Menon said "nasty lies" had been written about his client, Behailu Kebede, in the press - including claims he had carried out DIY on the fridge-freezer where it is thought the fire could have started. He said the police were so concerned about Mr Kebede's safety that they suggested he go on to a witness protection programme and change his name. 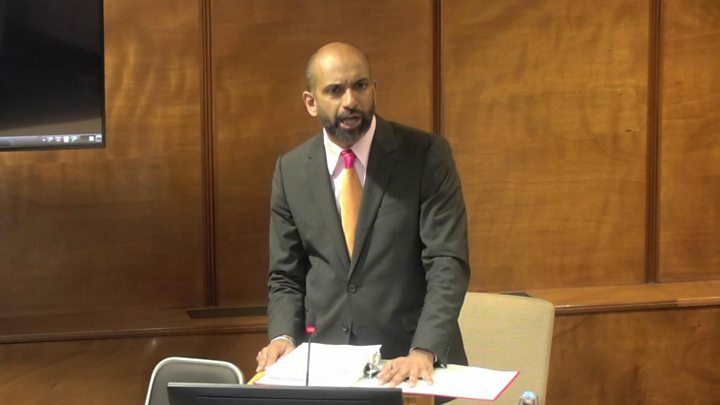 Mr Menon told the inquiry his client, who lived on the fourth floor of the tower, did "the right thing from start to finish" on the night of the blaze - the fire led to the deaths of 72 people. Audio of the first 999 call made on the night, by Mr Kebede after the fire started in his flat, was played at Monday's hearing. In it, Mr Kebede tells the operator: "Quick, quick, quick. It's burning." The inquiry heard how the fire service advice to residents to "stay put" in their flats had "effectively failed" within around half an hour of the blaze starting on 14 June. 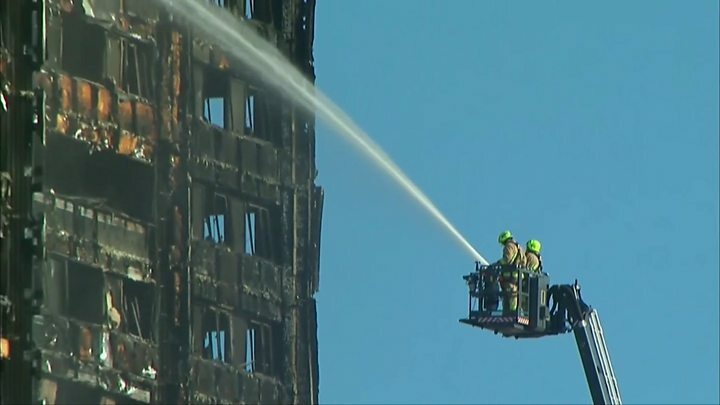 Fire safety expert Dr Barbara Lane said there was "an early need for total evacuation of Grenfell Tower", but she added it was not an "easy decision to make". Her comments were in one of five expert reports - looking at the tower's safety measures and its evacuation - published at the inquiry on Monday. Another expert, Prof Jose Torero, said in his report the stay-put strategy was appropriate while the fire was only in flat 16, but not once the fire started to spread up the building. Stephen Walsh, for the London Fire Brigade (LFB), told the inquiry on Thursday that a mass evacuation of Grenfell Tower could not have happened at a stroke. He said it was a "fundamental misunderstanding" that fire commanders could change policy at any time when the building was not designed for a simultaneous evacuation. Separate to the public inquiry, the Met Police revealed on Thursday that it is investigating the LFB's use of the stay-put policy. BBC home affairs correspondent Tom Symonds said the Met was considering possible health and safety offences. The fire experts' reports at the inquiry also revealed a catalogue of safety problems which allowed the fire to take hold. Dr Lane said a culture of "non-compliance" had existed, with basic fire measures missing or "inadequate". She listed issues with ventilation systems, lifts, fire mains and doors. 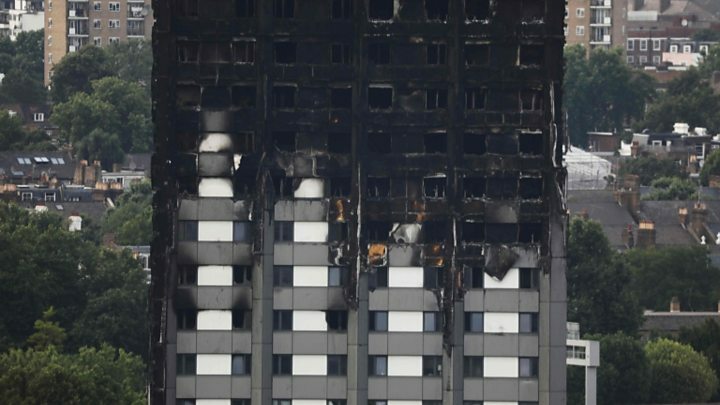 The reports also suggested the building's cladding was incorrectly installed and was the primary cause of the "catastrophic" spread of June's fire. Using this type of cladding on buildings should be carefully considered as it represents a "clear and significant" fire hazard, it was warned. Lawyers for some of the survivors and the bereaved told Tuesday's hearing that a refurbishment, overseen by Kensington Council, had turned the tower into a "death trap". Danny Friedman said none of those behind the work had accepted any responsibility for their part yet. His colleague, Stephanie Barwise, accused the firms of putting lives at risk by refusing to say whether changes to the building had been in breach of regulations. The firms said they would not respond fully until seeing all the evidence. 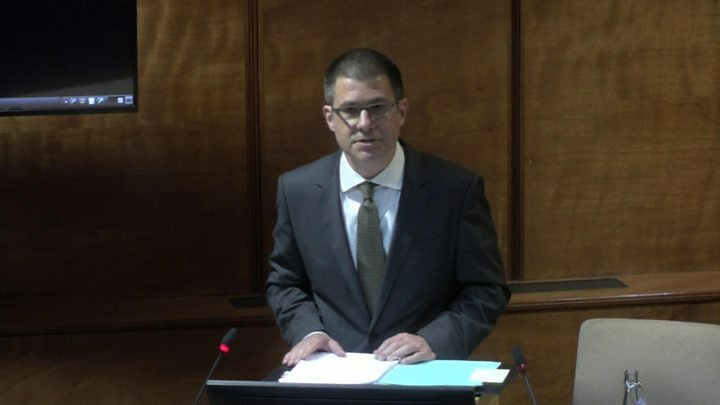 James Maxwell-Scott, representing Kensington Council, said the council's cabinet had considered the refurbishment three times over two years, and had increased the budget from £6m to £10.3m. James Ageros, representing the Tenant Management Organisation (TMO), played down the role the firm had in deciding details of material used in the refurbishment. In a statement made to the inquiry and published online, the London Fire Brigade said crews faced terrible dilemmas in the burning building. The speed and spread of fire posed an "unprecedented set of challenges" as nothing of its kind had been seen in the UK, it said. The Fire Brigades Union (FBU) asked the inquiry to consider whether firefighters were put in an "impossible situation" when battling the blaze. Martin Seaward, representing the union, said it should be considered whether, given "multiple" safety failings within the building, "the firefighters were always chasing a sinister fire they had no realistic chance of defeating". Both firefighters on the scene and call operators still suffer from the physical and emotional repercussions of responding to the disaster. Fifty-two firefighters are expected to give evidence at the inquiry, which is expected to last 18 months.